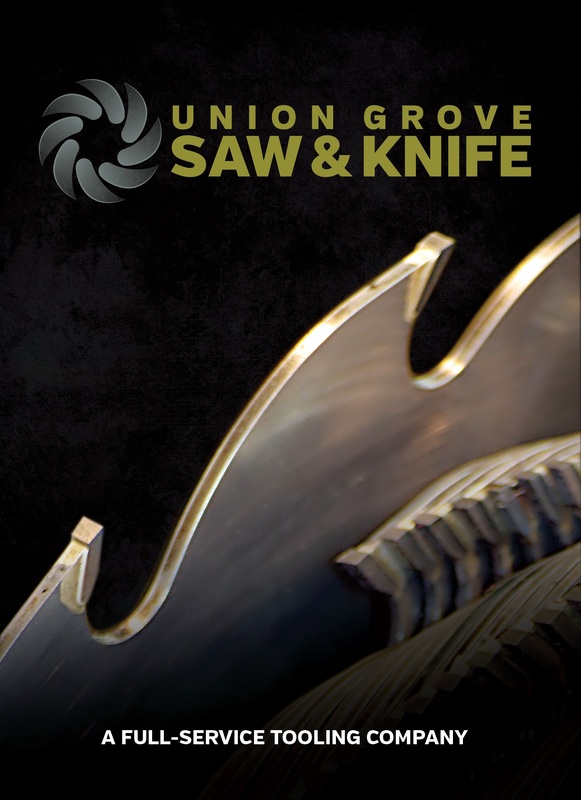 Union Grove Saw and Knife has partnered with Ed Bissell and Anthony DeHart to form a unique partnership. Through this partnership they have formed a new management team and installed highly specialized equipment into their facility. Our goal is to form long term partnering relationships with customers who seek to gain a competitive advantage through better management of their cutting tool resources, said Dehart. Union Grove Saw and Knife are announcing that they are making significant changes in 2016. They have installed highly specialized equipment in the Union Grove facility and formed an excellent management team that truly understands the needs of the industry. The new management team and core employees have vast experience in not only the production and design of cutting tools, but most importantly the disciplines surrounding the effective selection, utilization, and maintenance for the lowest possible total cost. The company, which was founded in 1983 by Ed Bissell with a strong desire to become a regional tool company known for exceptional service and quality products, now services over 500 customers. Additionally, they still service and maintain the original 10 accounts that they began with. To further realize their goal, and to secure the long term success of the company, Ed Bissell has partnered with Anthony DeHart. This unique partnership resulted in the installation of highly specialized equipment in the Union Grove facility. Both Bissell and DeHart have experience in the cutting tool industry and are seasoned entrepreneurs that recognize the need to focus efforts and energy on the more effective use of time and talents. Bissell has a passion for being in the production environment and applying quality control at every step in the manufacturing process. DeHart enjoys helping customers and brings a strong sense of front office skills sets to the table. This unique combination combines to form an excellent new management team that truly understands the needs of the industry and is making substantial commitments to continue the growth and goals previously established by both individuals. In today’s competitive environment there is a need to be highly organized for maximum efficiency and cost savings in order to remain competitive. “This is our culture, and most importantly our workforce understands this with every operation that is performed. This combined with our desire to only provide the highest quality service has allowed us to remain steadfast in the marketplace regardless of the economic conditions the woodworking industry has been faced with over the past decade,” said Bissell. The new company now has over 125 pieces of specialized equipment all dedicated to servicing cutting tools. This equipment, along with a highly trained staff, provides the highest level of craftsmanship and tooling specifications within the industry. “We are now fully equipped to handle the secondary woodworking industry markets just as effectively as we have serviced the primary markets in recent years,” said Dehart. Union Grove has expanded their ability to provide insert tooling and carbide knives, including both new and replacement, to the market at large. Additional product offerings include PCD Tooling, Solid Carbide Router Bits, Industrial Knives and Circular Saw Blades in any configuration. Union Grove is a full service cutting tool Company servicing the Primary and Secondary Wood Industries with Total Tool Life Cycle Management. They provide new tooling as well as service and repairs on all tooling types. Technical support and Productivity Assessments are available to all customers. For more information please contact Anthony DeHart at 828-217-3739 or Anthony(at)sawandknife(dot)com Please refer to http://www.sawandknife.com for additional information and a contact request form.